SKU: SDS210PD. Categories: All Manual Toothbrushes, Butler GUM Manual Toothbrush, GUM Specialty Toothbrushes. This toothbrush, with its two-row design brushes along the gumline with laser-like precision and leaves your gums clean and healthy. A toothbrush designed to give you maximum control in cleaning around the gum line. The Butler Gum Sulcus toothbrush screams comfort and is the perfect tool for precise cleaning around the gum line. Best of all, the GUM Sulcus Toothbrush features a comfortable ubber grip – something that is missing from traditional sulcus toothbrushes. effectively cleans along the gum line. The head of the toothbrush is very narrow and features two rows of precisely positioned bristles. As you go down from the head of the toothbrush, you will notice the toothbrush becomes thicker and a rubber grip emerges. The thicker handle and the carefully designed angle of the toothbrush makes sure that you hold the toothbrush at the correct 45 degree angle that is optimal for brushing. The majority of people who take advantage of this toothbrush enjoy its two rows of professionally engineered bristles placed into two perfect lines. You will personally appreciate how well these bristles can clean along your gumline. The majority of regular toothbrushes have several rows of bristles and other intricate rubber devices or gimmicks that give the toothbrush a supernatural appearance. 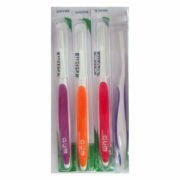 The GUM sulcus toothbrush offers a simple and effective way to clean your gums. When you first brush your teeth with this sulcus toothbrush, you will notice that the thin two rows of bristles do not overwhelm your mouth and that you have absolute control over your brushing experience. You will see that this toothbrush makes cleaning along the gumline, and removing plaque much easier. More importantly you will feel more opportunity to carefully clean your teeth and gums – especially your gums because the two row bristle design with soft bristles feels completely comfortable on the gums. The majority of those who have taken advantage of this toothbrush come back for it often and use it religiously claiming that it has helped with gum problems. 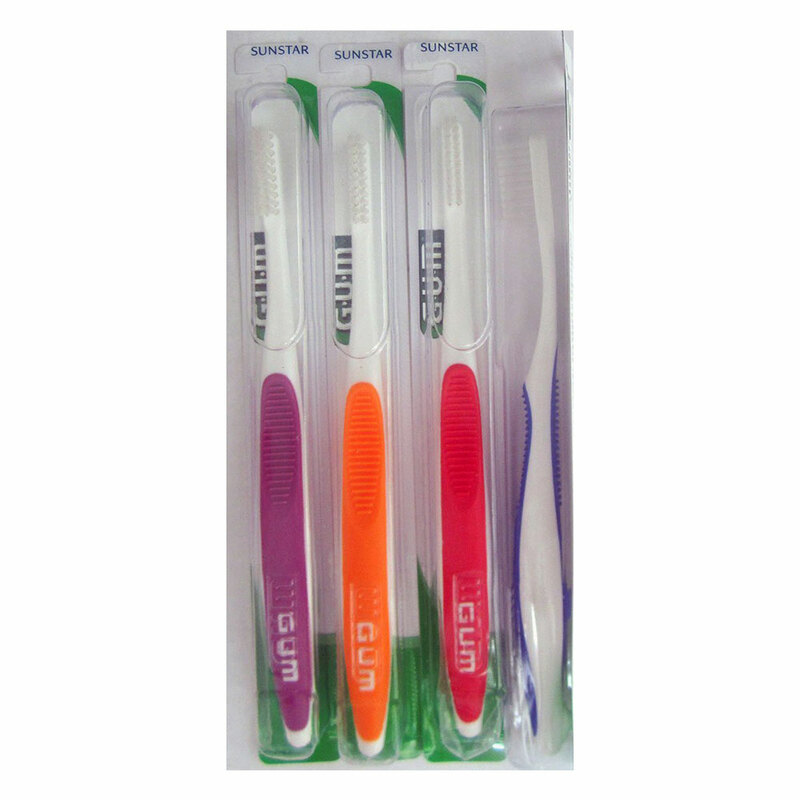 Several dentists we have talked to are for this type of toothbrush because of its highly small brush head and convenient 2 row bristle design. To read actual testimonials, or to write one yourself, go ahead and scroll down to the bottom of the page where you should find a way to rate the product and read/write testimonials about it. Have a great day and continue to brush and floss daily for maximum oral health and the smile of a lifetime.